***PLEASE CONTACT ME DIRECTLY to discuss flexibility with booking options if you are not able to select the days you would like to stay. 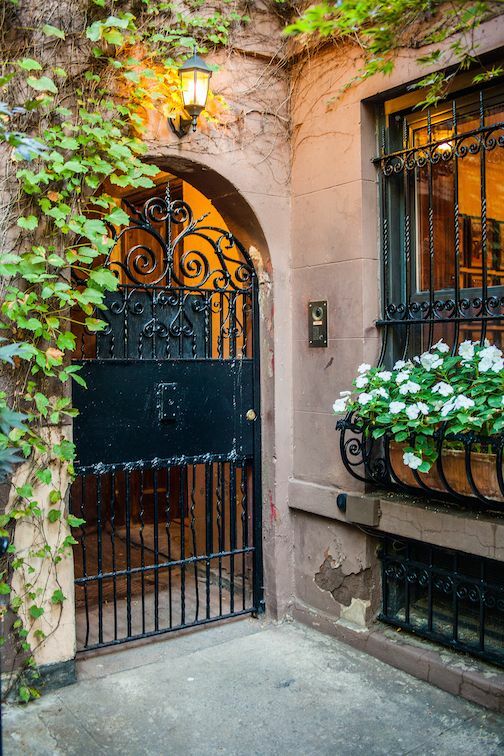 Your own private Harlem hideaway. 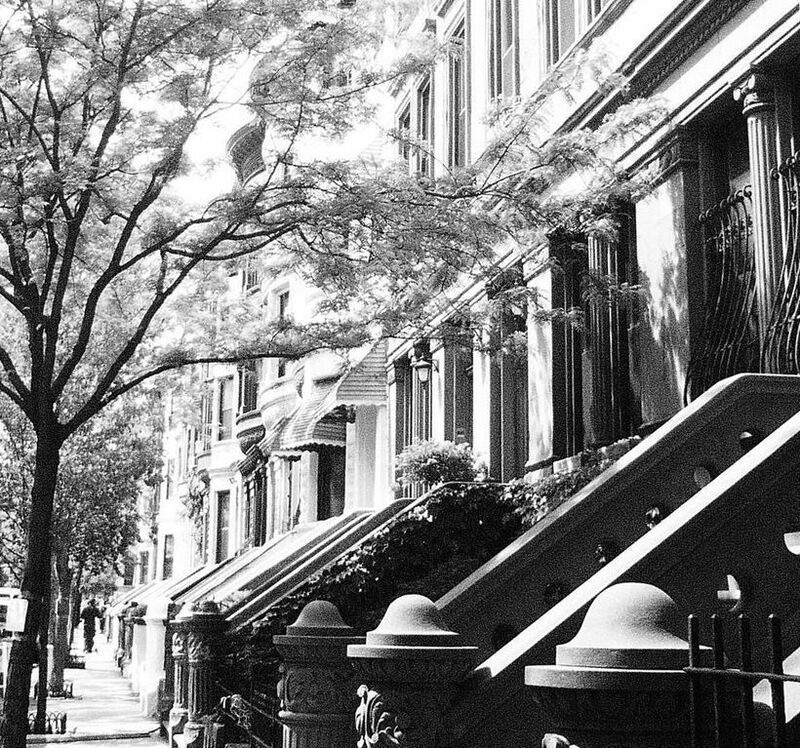 A quiet dreamy oasis for your busy New York trip. 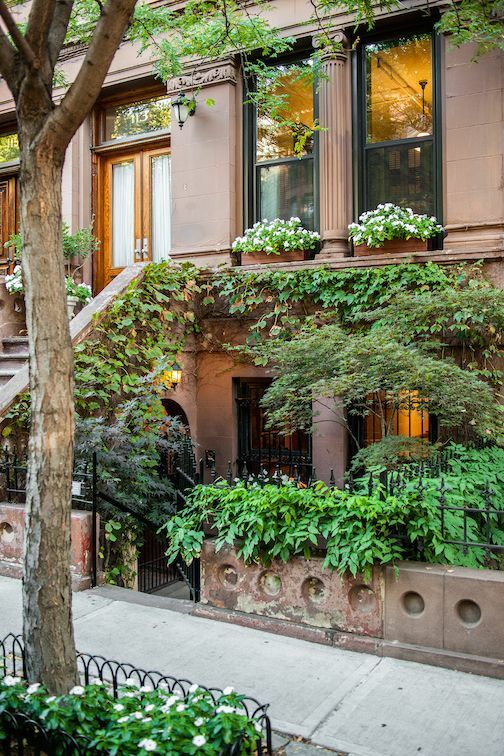 Enjoy life in an 1895 brownstone in one of the city's most charming historic neighborhoods. NOTE: This is just one of four unique units in the building. We also have Studio (982538), Guest Room (993020) and Parlor (982545). 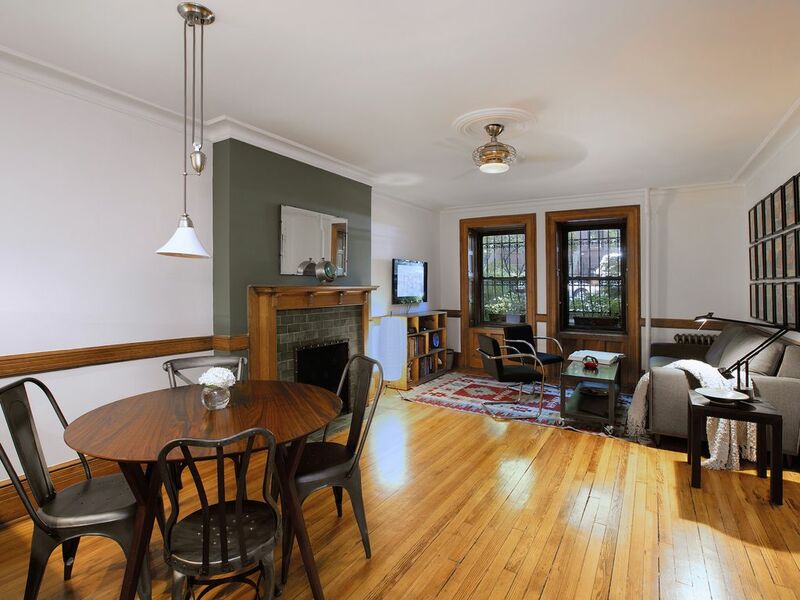 The Garden Apartment was expertly renovated by an award winning designer, and features a large bedroom and an exceptional vintage bathroom, wood floors, decorative fireplace in the living room, lighting fixtures on dimmers, two ceiling fans and original wood details. It has a color video intercom to the front door of the building. The windows north and south provide refreshing cross-ventilation. There are 2 unit wall mounted air conditioner/heaters in the apartment (bedroom and living room). It is heated by original radiators in the winter. Free WiFi. Please contact me directly if you are not able to select on the calendar the days you would like to stay. More days are open than what shows on the calendar and there is flexibility with booking options. 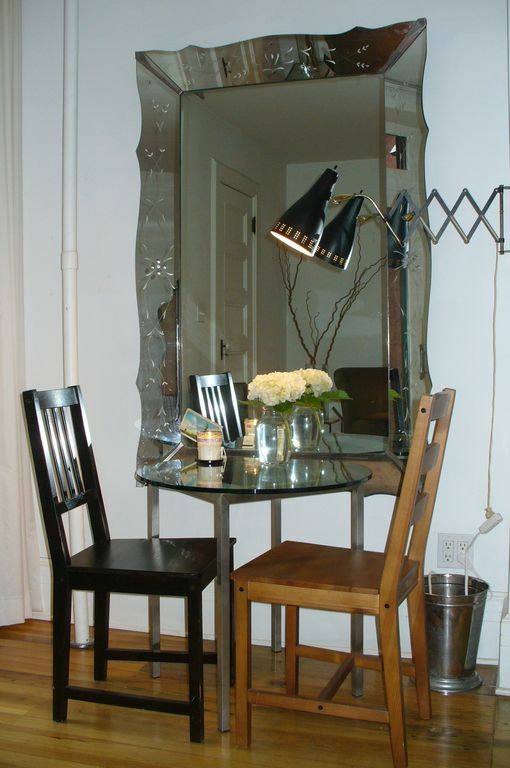 The apartment is quite private with a separate outside entrance with its own outside light. There is an interior hall rack for bags and coats. Lending umbrellas are available for when it rains. 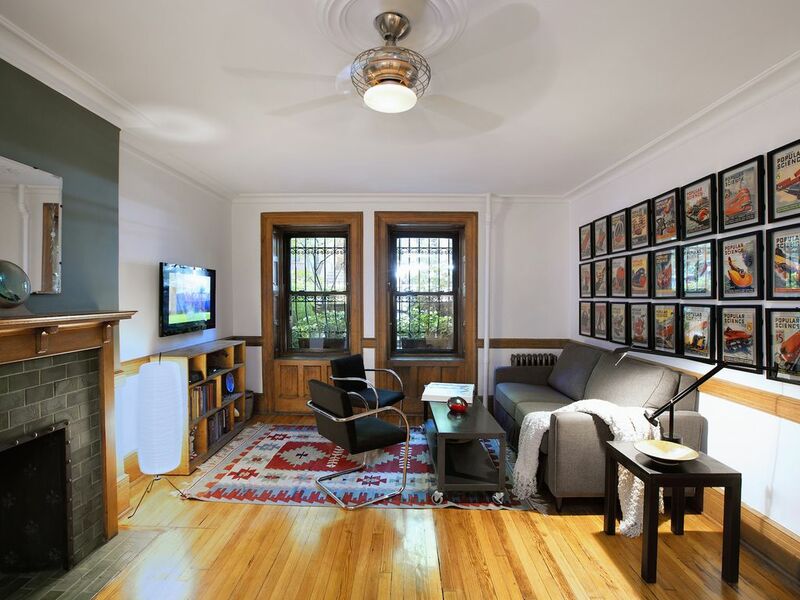 The living room's two windows face south to a small landscaped courtyard and a tree shaded sidewalk. 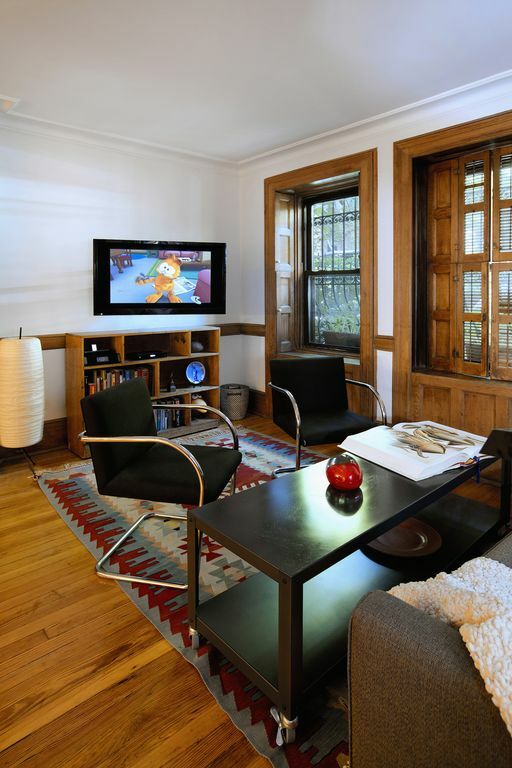 Original internal wood shutters provide privacy. 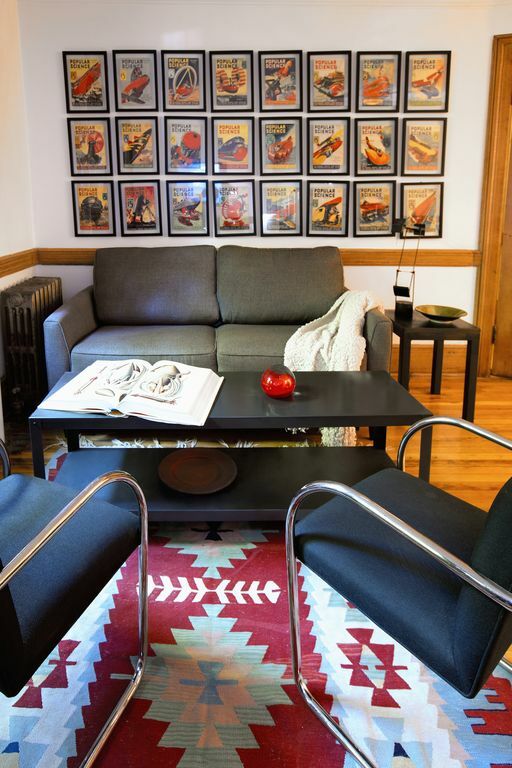 The living room is furnished with an extremely comfortable memory foam sofabed, a side table, a roll-away coffee table, a 46' wall-mount LED flat screen TV, a dining table and 4 chairs. It has a radio/ iPod loaded with a Harlem Hideaway jazz/blues playlist. The bookcase contains a library of interesting and unique books. 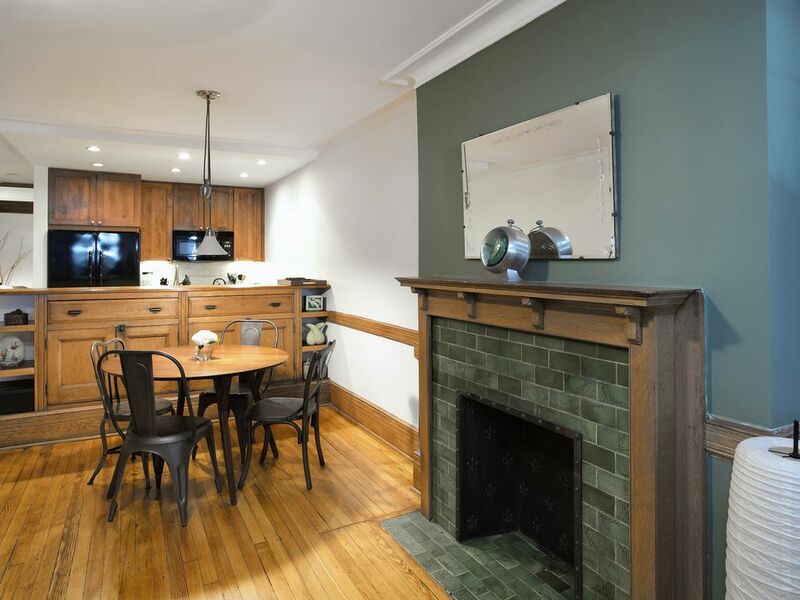 The original 120 year old drawered cabinet separates the kitchen from the dining/living room area. There is plenty of room in the drawers to use it as a dresser if the living room is used as an additional sleeping area. 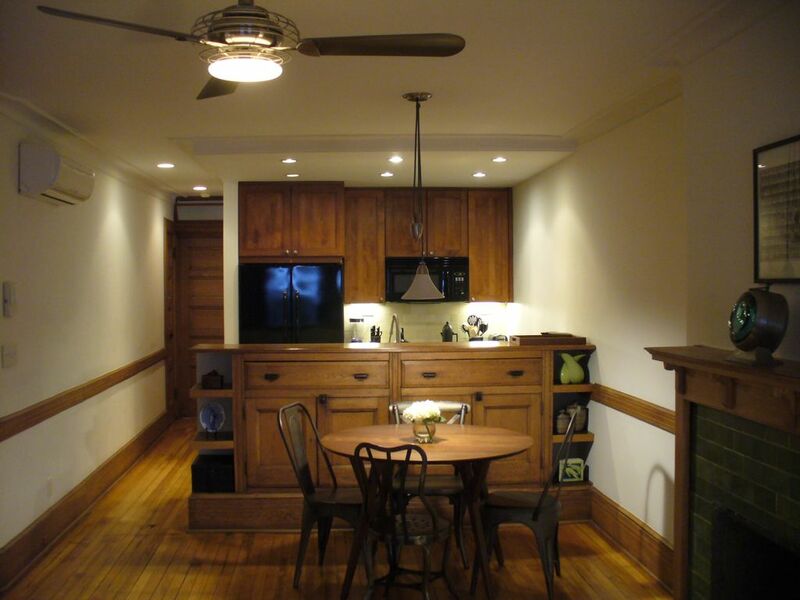 There is a 3 speed fan in with a dimmer light in the living room area and a dining table with 4 chairs and an adjustable dimmer light above the dining room table. Information boxes full of maps, menus and manuals are located on the shelf. Opening onto the living room you will find the open kitchen equipped with a deep sink with rinsing spout, a garbage disposal, a modern 4 burner gas stove with oven, a double door refrigerator with bottom freezer and an icemaker, a built-in microwave/fan, toaster, blender, a knife set, a dishwasher (with detergent) and all necessary cookware and utensils as well as a coffee maker, coffee and tea. The surfaces are high end stone/conglomerate. There are plenty of plugs and under counter lighting. There is a slide-out garbage/ recycle cabinet. 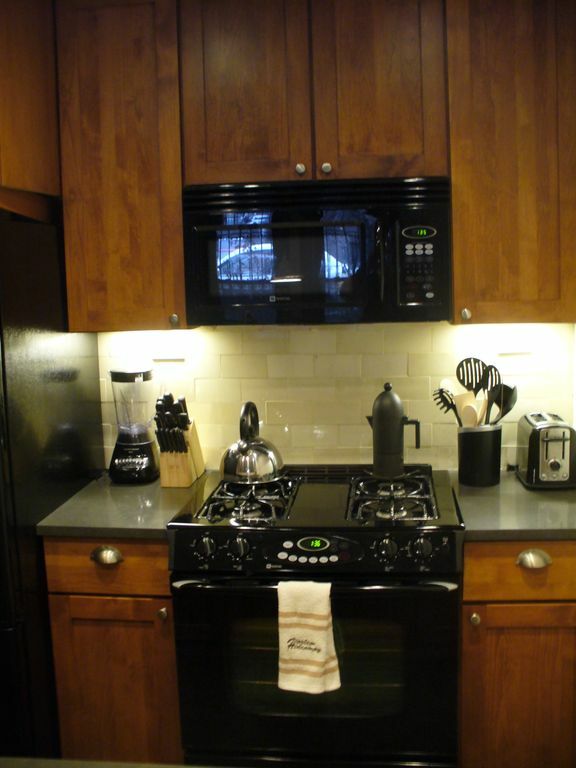 The cabinets are all wood finished and backsplashes are 100 year old subway tile. 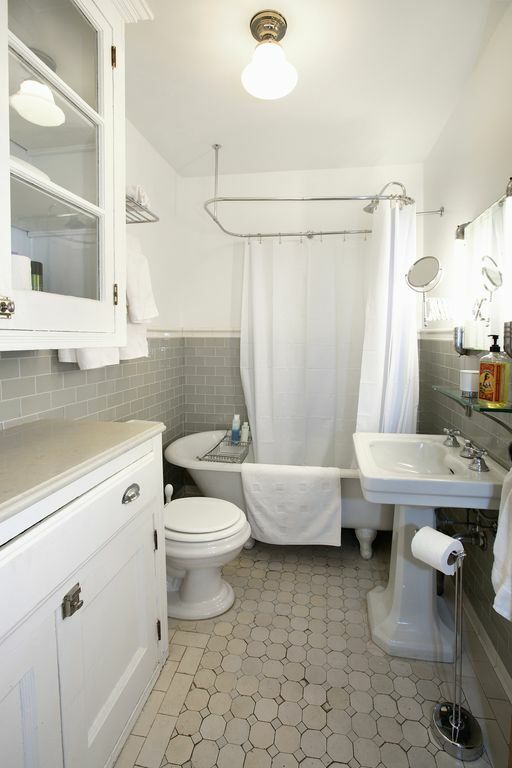 The all white full bathroom has a vintage claw foot bathtub with shower fixture, shampoo and body soap, towels, extra toilet paper, a built-in cabinet, vintage sink, hair dryer, outlets, and a vintage art deco lit medicine cabinet with hairspray. It also has an exhaust fan. 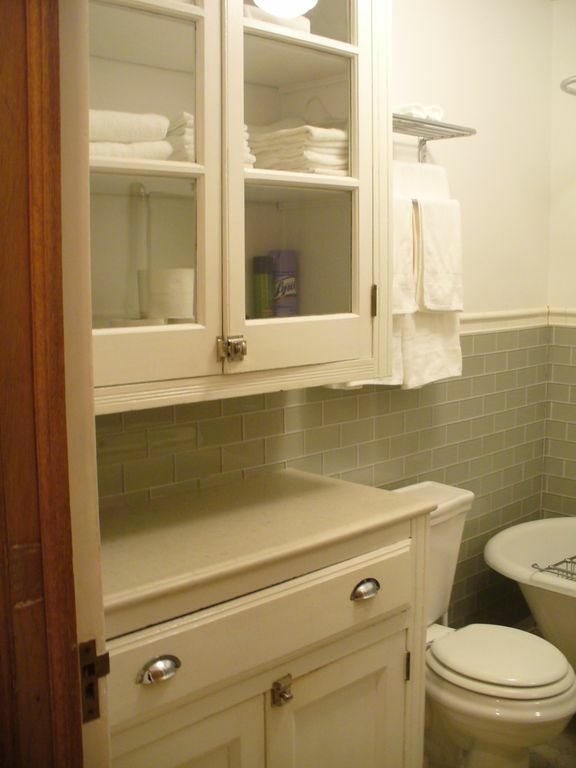 The wainscoting is clear glass subway tiles. The floor is all original 120 year old original tiles. 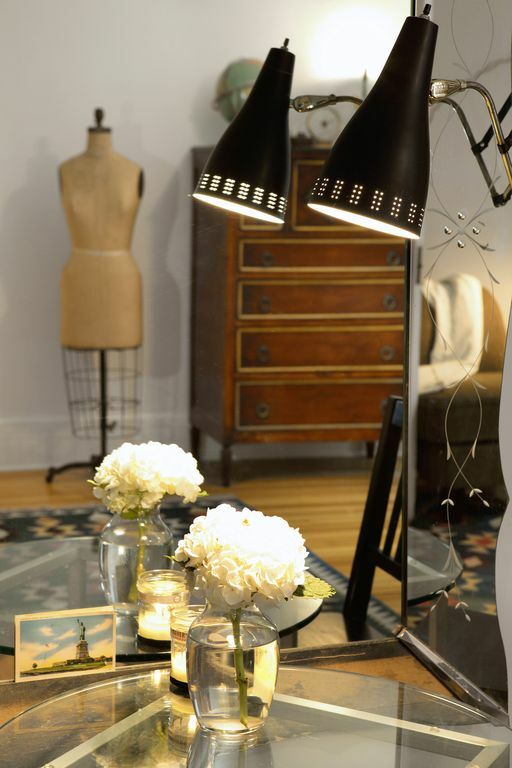 There is even a dimmer for the retro light fixture. 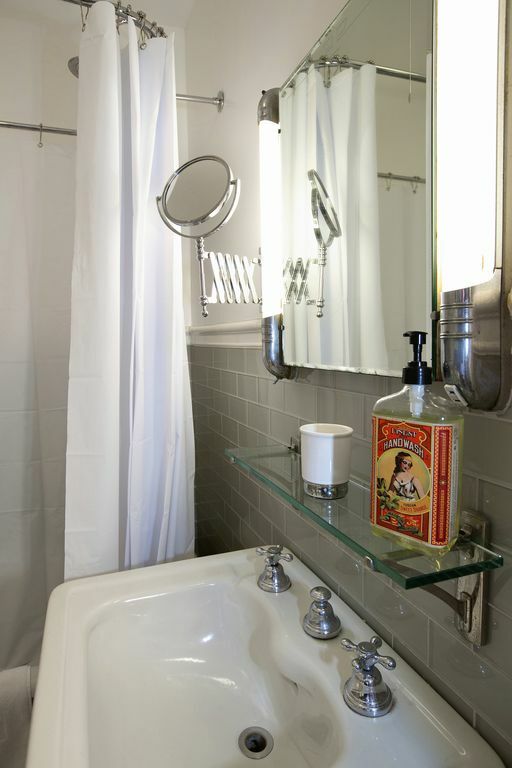 All fixtures are chrome. 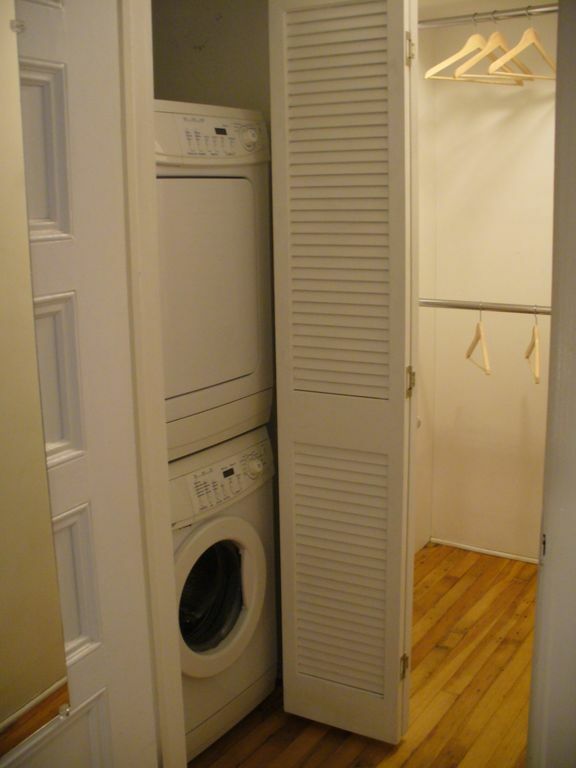 The hall to the bedroom has a closet stocked with cleaning items as well as an iron and ironing board. 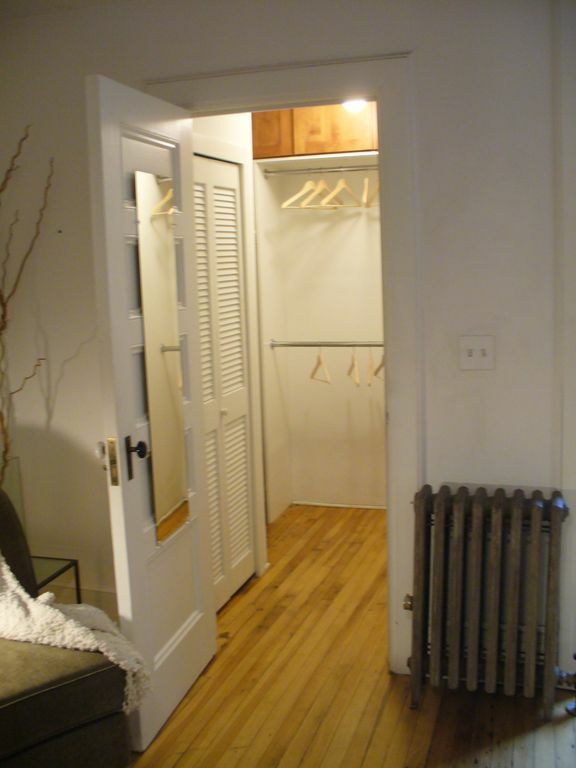 The large bedroom facing north to the beautiful private patio of the brownstone has a walk-in closet with a washer/dryer (with washer pods) and a full length mirror on the door. It has plenty of shelves and hangers. The bedroom has sliding screened glass doors with a view of a very quiet, peaceful private deck area. 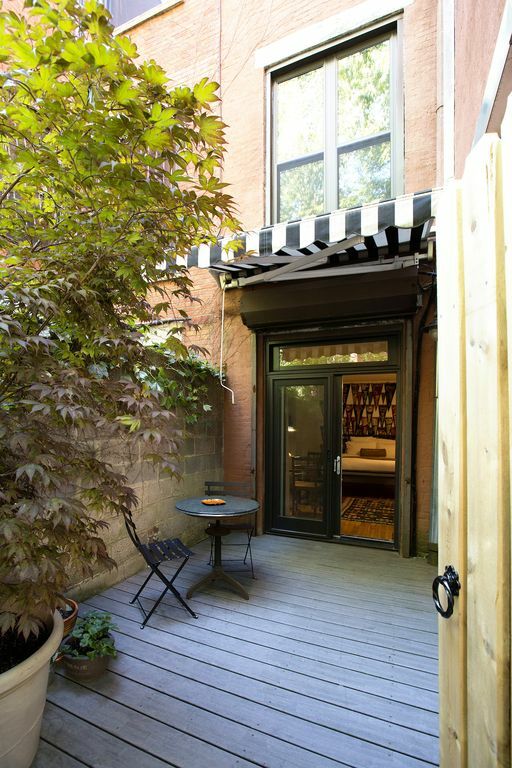 The private area has a gate which opens to a large, beautifully landscaped shared yard. There are sheer curtains for privacy as well as an electric bar gate which lowers and raises at the touch of a button. The bedroom is furnished with a queen size bed with adjustable individual reading lights, a radio/iPod player with jazz/blues playlist on iPod, bedside tables and a vintage chest of drawers. There are dozens of vintage felt banners festooned above the bed. Directly above the bedroom door is a transom to allow airflow while the door is shut. Since the bedroom faces the back, it is furthest away from any street noise. The bedroom has its own adjustable AC/heater. 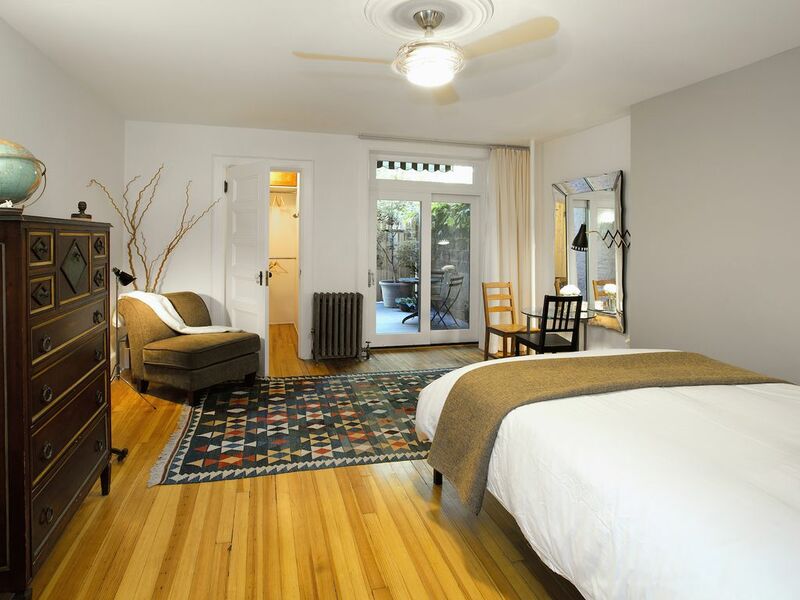 The large bedroom facing north to the beautiful private patio of the brownstone has a walk-in closet with a washer/dryer (with washer pods) and a full length mirror on the door. It has plenty of shelves and hangers. The bedroom has sliding screened glass doors with a view of a very quiet, peaceful private deck area. There are sheer curtains for privacy as well as an electric bar gate which lowers and raises at the touch of a button. The bedroom is furnished with a queen size bed with adjustable individual reading lights, a radio/iPod player with jazz/blues playlist on iPod, bedside tables and a vintage chest of drawers. 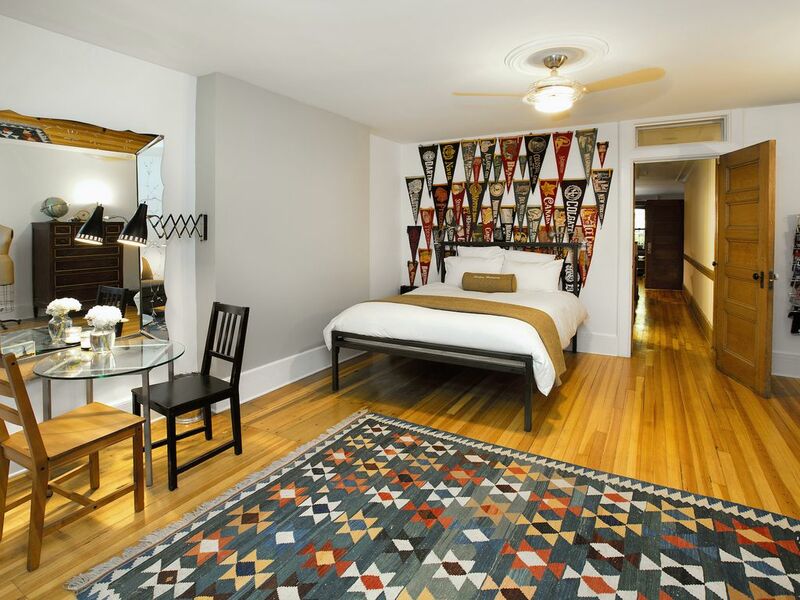 There are dozens of vintage felt banners festooned above the bed. Directly above the bedroom door is a transom to allow airflow while the door is shut. Since the bedroom faces the back, it is furthest away from any street noise. The bedroom has its own adjustable AC/heater. 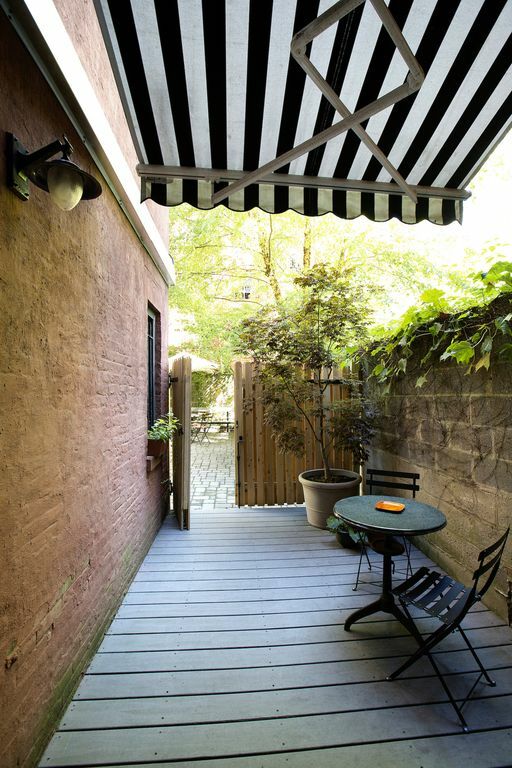 The private outside deck terrace is perfect for casual dining, cocktails or coffee. The terrace has a small table with 4 chairs. There is a charming adjustable striped extension wall awning for your use as well, in case of rain. 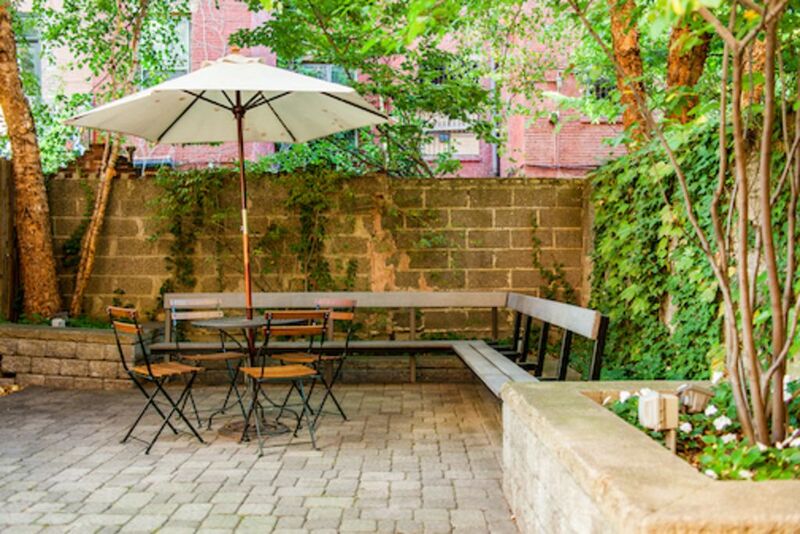 Beyond the private terrace is a beautiful backyard area paved in cobblestones with secured benches and attractive plantings. Huge birch trees shade the area as well as provide privacy. A barbeque is also available for outdoor cooking. Have a bigger group or want other options? Try our Parlor Apt. 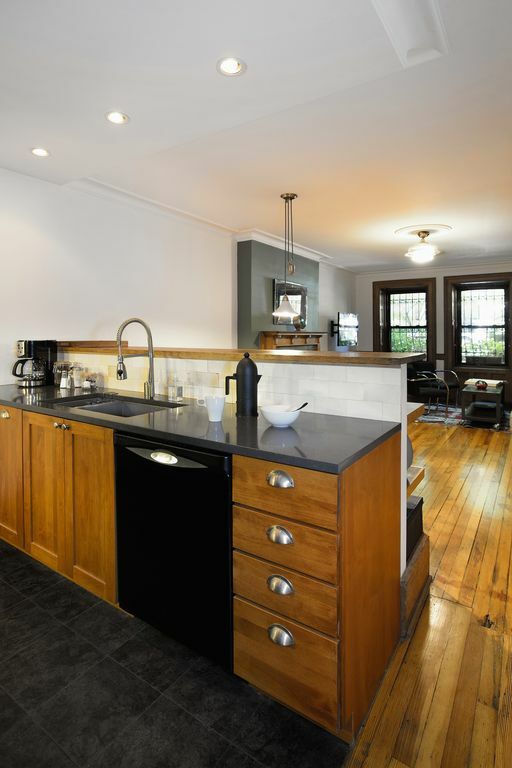 #982545, Studio Apartment #982538, or Guest Room # 993020.